We arrived at the launch pad just as the sun peeked over the horizon. Above us, the fire blazed incessantly, burning the top of our heads as we settled into the large wicker basket. Two seconds later, we had liftoff. We were floating, floating, floating... on a hot air balloon. 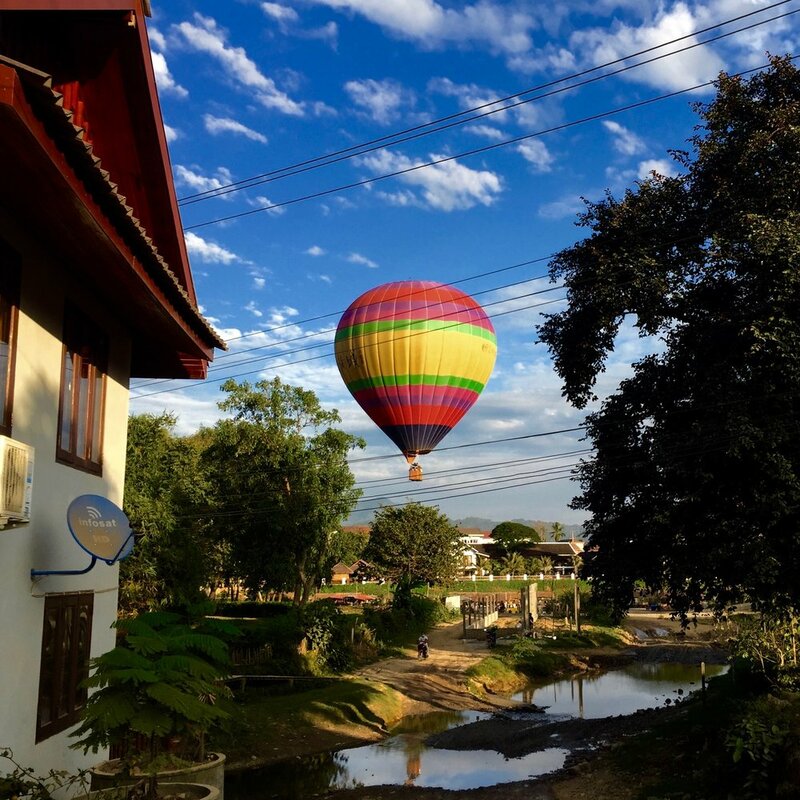 Our first stop in Laos was Luang Prabang, a town that appeared to be stuck in another time. It was colonized by the French in the 19th Century, which resulted in their influence of Luang Prabang's architecture and customs (this place still serves up a delicious baguette). 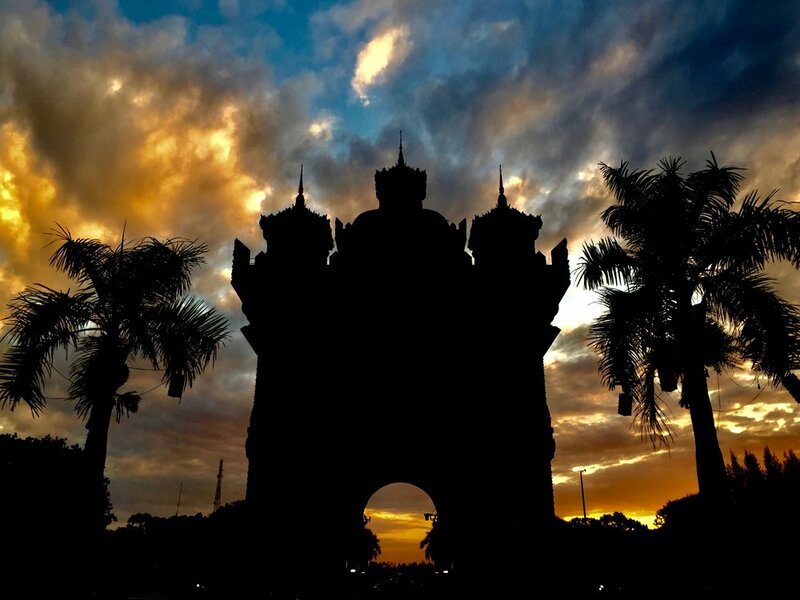 Today, the town displays a beautiful mix of French and traditional Southeast Asian architecture, and is protected as a UNESCO heritage site, which helps maintain its historic and unique feel. 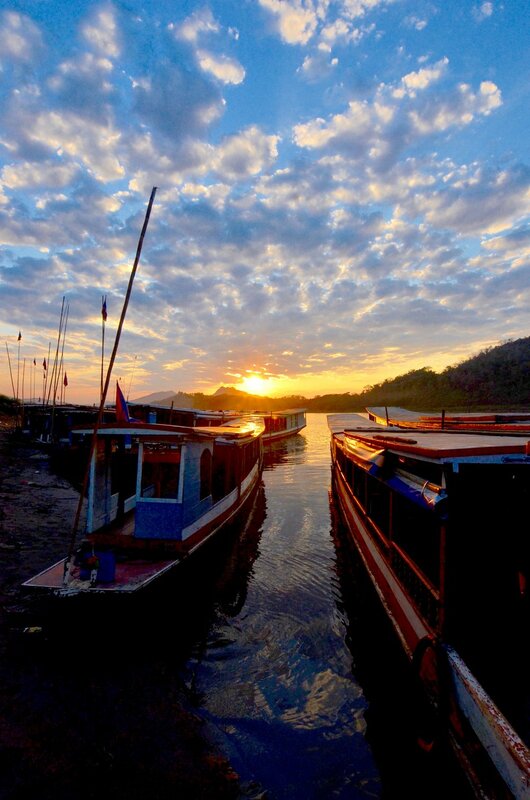 The town is made even more stunning by its naturally beautiful surroundings—the hilly terrain, the mighty Mekong river flanking the city and the Nam Khan river twirling through it. 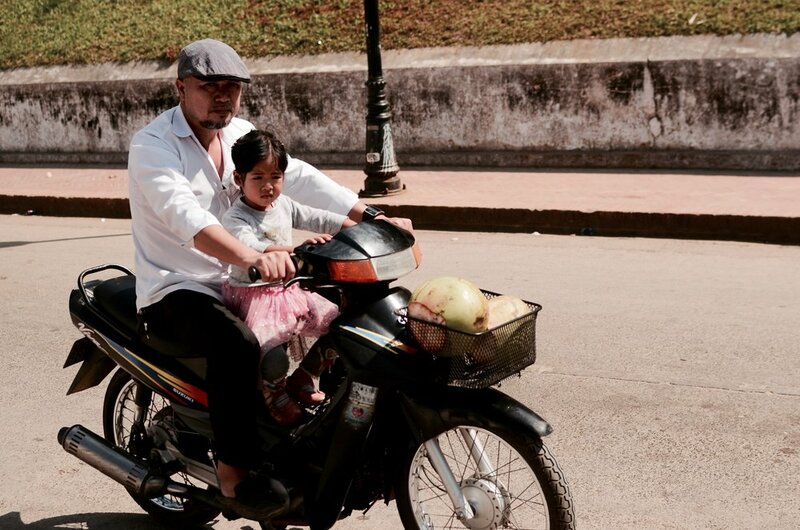 Luang Prabang is a walking city if ever there was one. So that’s just what we did. We spent several days just walking around and exploring all that the city had to offer: a gigantic night market with hundreds of craft and street food options, , a river boat ride at sunset, a visit to the dozens of Buddhist temples in town, including going up 328 steps to the top of Mount Phousi, which is rewarded with a gorgeous 360º view of the town. 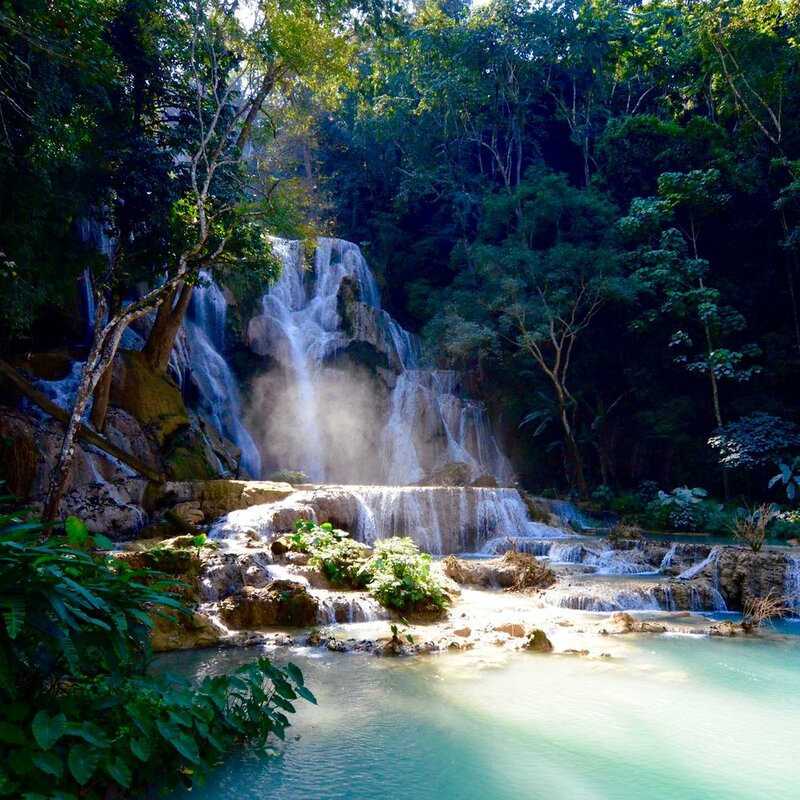 And just outside of town we made it to the turquoise blue Kuang Si waterfall and surrounding pools. On a hot day, this place was perfect for an afternoon swim. 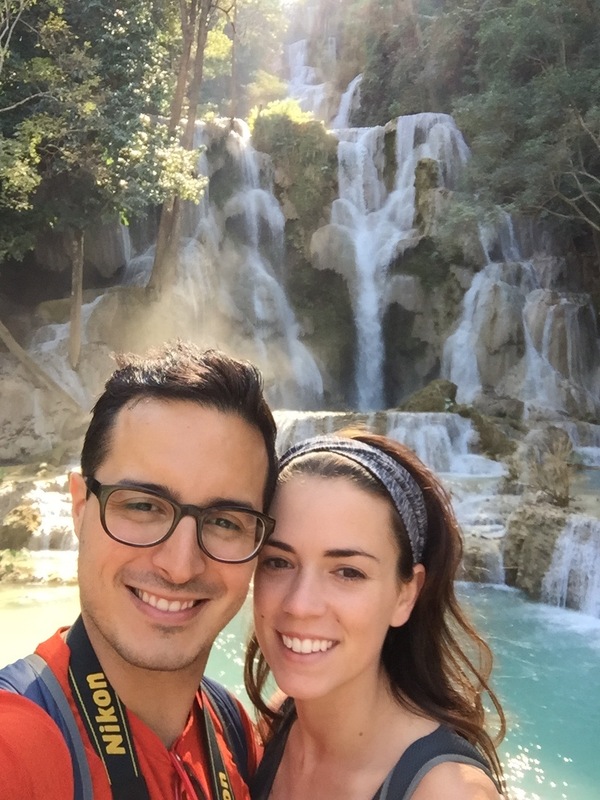 If you can visit one place in Laos, make it Luang Prabang. 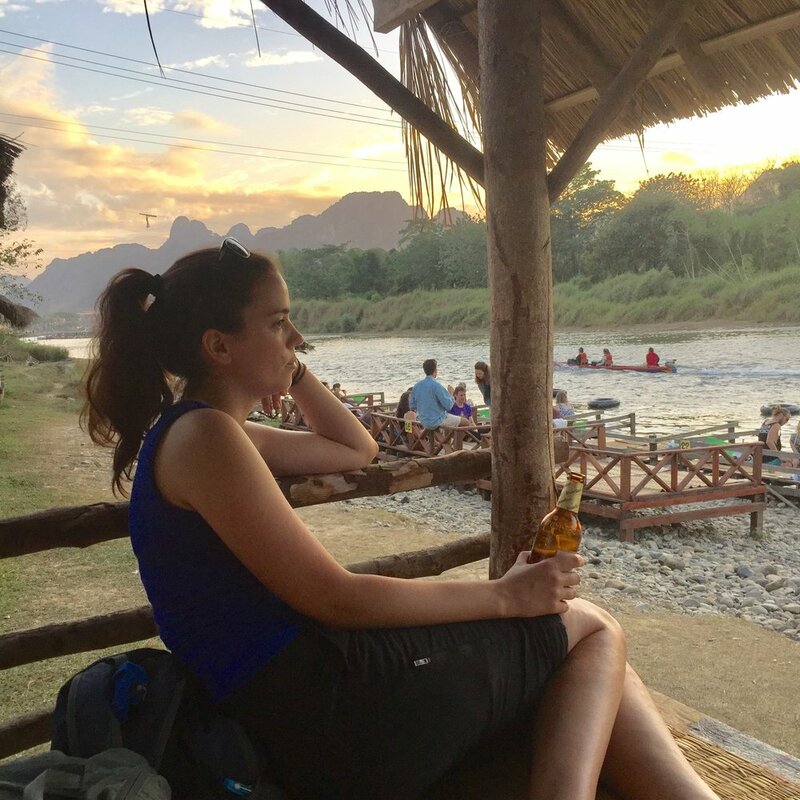 The tiny town of Vang Vieng is a town built around the powerful Nam Song river, and is surrounded by towering limestone cliffs with lush green fields and jungles. It was, up until recently, known by world travelers as a notorious party spot. Alcohol and drugs flowed freely, especially in the center of the action: the river. On the river that flows peacefully next to the cliffs were dozens of bars serving up discount cocktails, loud music and rowdy drinking games. Partygoers would tube from bar to bar in a raucous aquatic bar crawl. Surprising no one, the buckets of alcohol, illegal drugs and sometimes rapid flow of water were a dangerous combo. Actually, it took a number of deaths and accidents for the authorities to come in to regulate the this unsupervised wilderness. Today, just a few bars can be open at a time and drugs are not as easily accessible (although they are very much present). 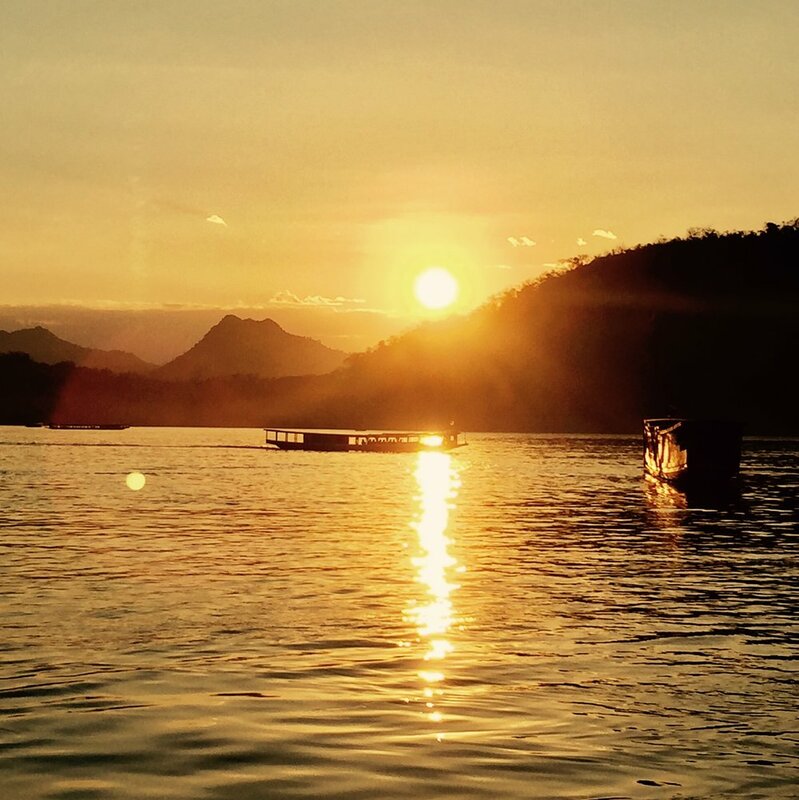 What’s left is a peaceful and enjoyable experience with a little bit of alcohol and a lot of breathtaking views. Taking advantage of this, we hopped on our inner tubes and slowly floated downstream, admiring the gigantic charcoal black cliffs on either side. About ten minutes in we saw the first bar coming up ahead. A man threw us a rope and pulled us ashore. We walked into a bare-bones, raggedy bar with young travelers drinking and dancing in their swimsuits… it was 11AM. Looking to mix in with the locals, we grabbed a couple of beer cans and hopped back into our tubes. This was complete bliss. Later, feeling hungry, we hopped off at the next bar we saw. Once again, this one was full of 20-somethings chugging slushy cocktails and playing drinking games. We ordered a few pad thais and enjoyed the experience, then grabbed another brew for the road and hopped back into our tubes. 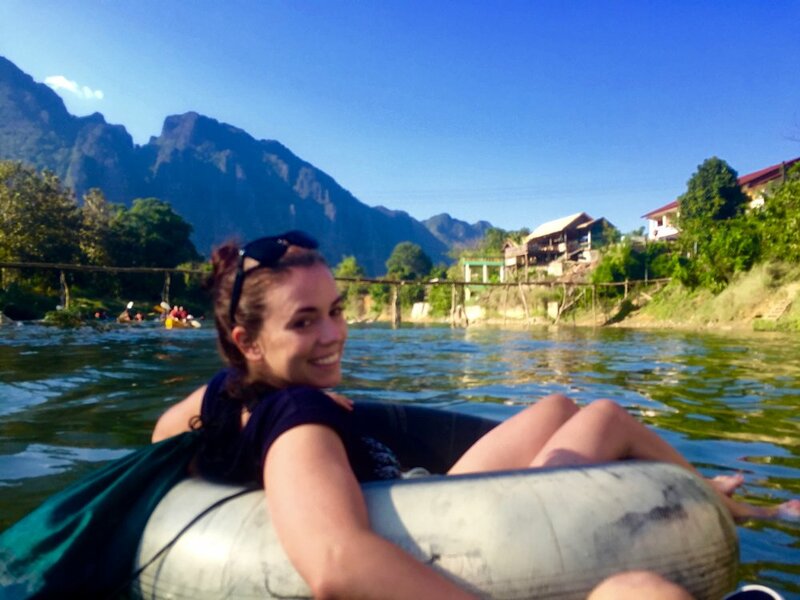 For about four hours we floated, relaxed and talked our way back to Vang Vieng. 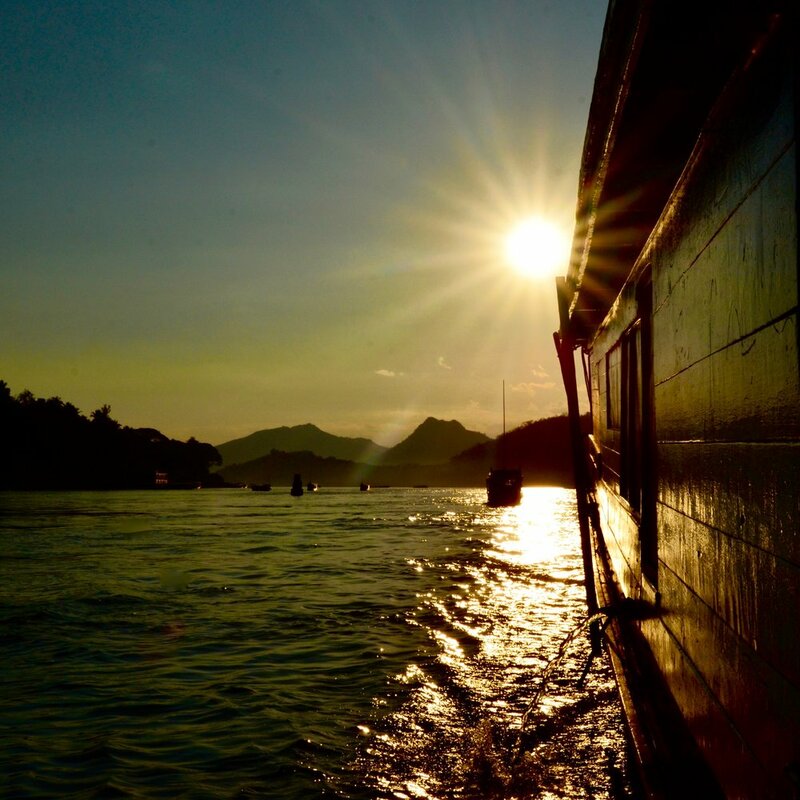 The sun was setting as we reached the shore, and we sat down to enjoy the incredible vistas and to feel grateful for the wonderful experience. 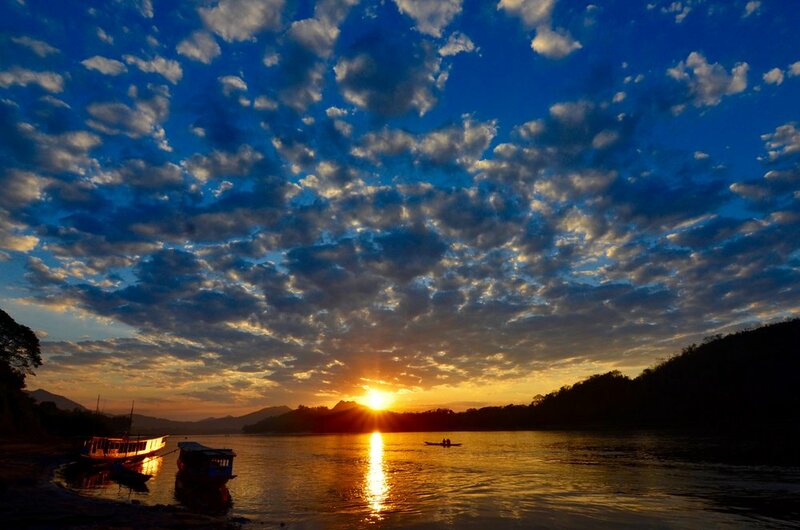 Like Cambodia, Laos hasn’t had it easy in the last 50 years. It was the unfortunate collateral victim of the US strategy to disrupt Viet Cong supply routes during the Vietnam War (or the American War, as it’s known there). 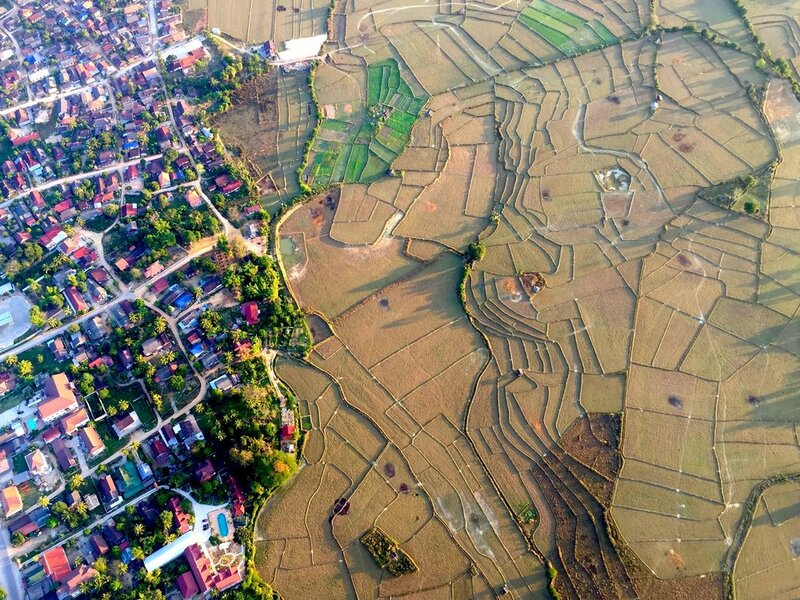 More than two million tons of bombs were dropped on Laos during this period, which equaled "a planeload of bombs every 8 minutes, 24-hours a day, for 9 years”. This makes Laos the most heavily bombed country per capita in history—more than Germany, England, Japan or Afghanistan. Despite the large number of casualties taken by Laos during the bombings, the tragedy still lives on today. About a third of the bombs dropped did not explode, meaning they are still lurking in the shallow underground. 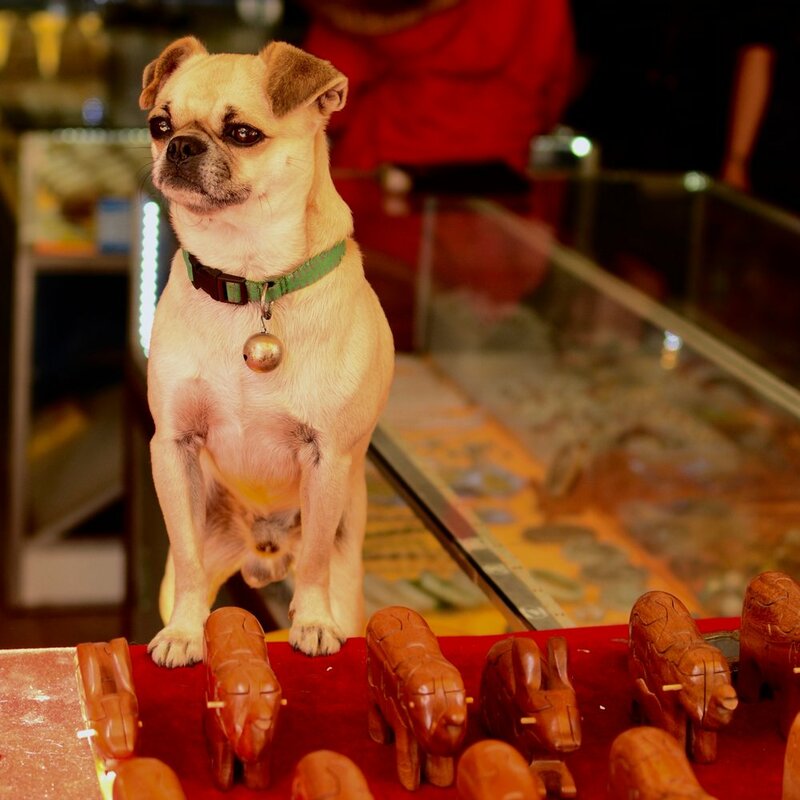 And though there is a concerted effort to remove undetonated bombs, about 20,000 people have been killed or injured by them since the bombing stopped in 1974. 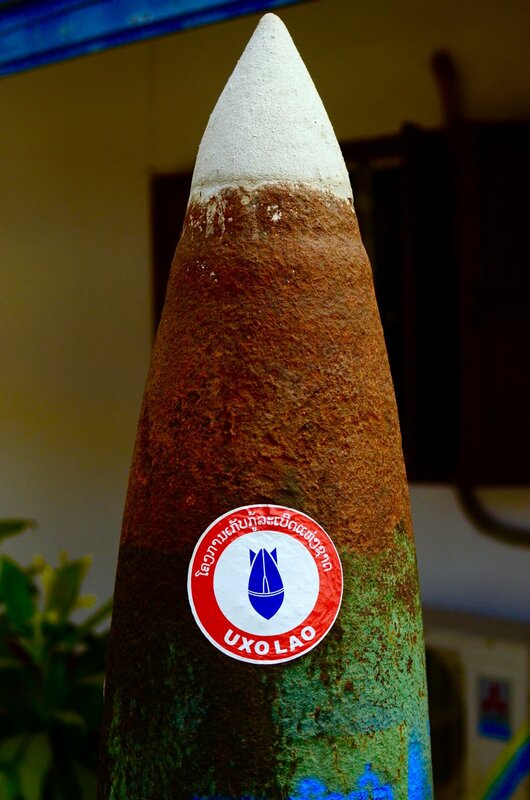 A UXO (Unexploded Ordinance) museum in Luang Prabang tells the history and tragedy these people experienced. It also shares the strength of the survivors who press on to make a life for themselves and their families. All of this and more contributed to the friendly, cheerful and open society of the Lao people we met on our visit. Last but not least, a quickie: Haven’t you always dreamed of a place where you can just sit back, have a beer, perhaps some food, and just CHILL while watching non-stop episodes of F•R•I•E•N•D•S? 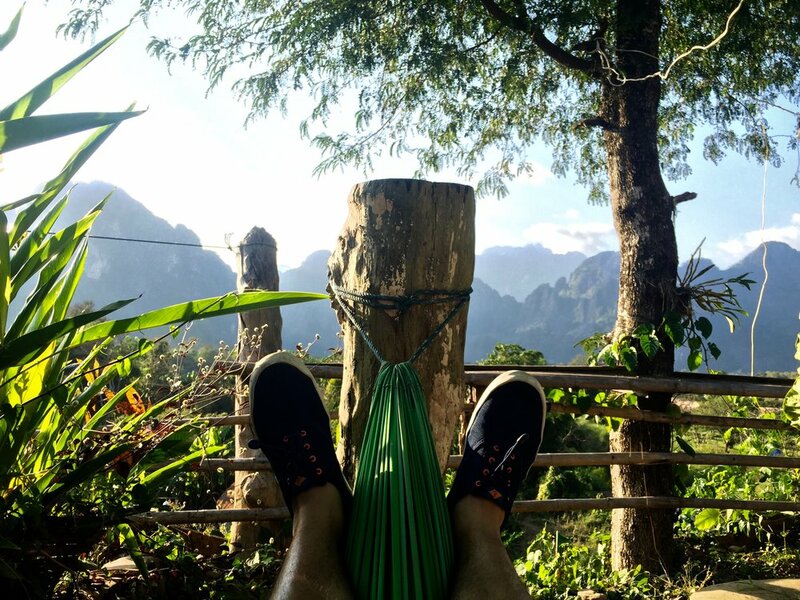 Well, if you’re ever in Vang Vieng, you’re in luck! As you walk around, you will run into several restaurant/bars that do precisely that—you can order food and eat while back-to-back reruns of the 90s sitcom play on the multiple screens. We’d highly encourage you to grab a beer or a milkshake, lay back, and enjoy some laughs in this perfect post-adventure relaxation.